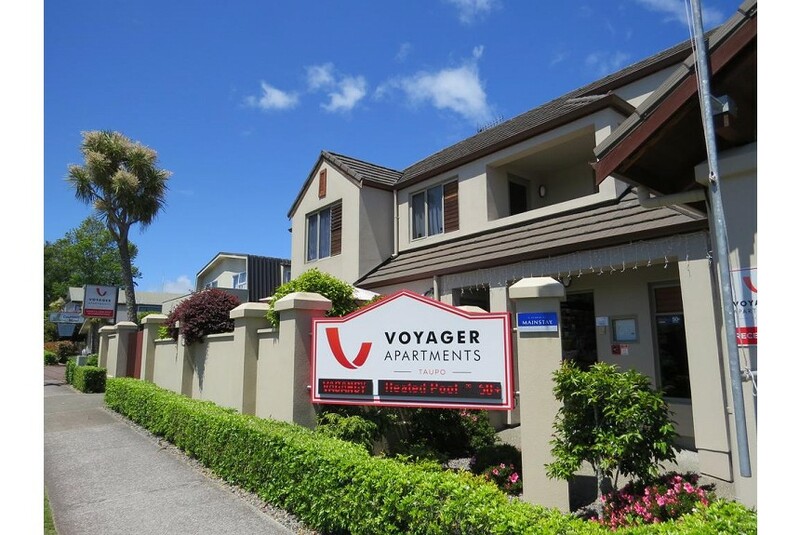 Voyager Apartments offers accommodation for both the business traveller or family looking for spacious, great value, self contained and optionally serviced Taupo accommodation. Close to all amenities and easy access from the main highways in and out of Taupo, Voyager Apartments are located with Lake Taupo at your doorstep and the main shopping strip, restaurants, cafes and bars only a brisk walk away. All apartments have fully equipped kitchens laundry facilities, air-conditioning heat pumps private spa baths, Sky TV 51+ channels, Free Wi-Fi internet, DVD, stereos, making Voyager Apartments Taupo your perfect North Island base camp. Voyager Apartments have modern superior 1, 2 and 3 bedroom apartments giving you options to suit. It's not hard to understand why great Lake Taupo is one of New Zealand's favourite holiday destinations.